The best cup of tea cannot be made without the highest quality tealeaves. We have visited and will visit many tea farms in Japan to find tasty and suitable tealeaves for our blend. Our carefully chosen high quality tealeaves are grown domestically in organic farms. As each type of tea has its own characteristics, we have tried different extracting methods for the best quality flavor and aroma. From many trials, our bottled tea, “The D’or,” was born. You can enjoy the fragrance and well-blended flavor from tea poured into a glass. Please enjoy the new world of Japanese tea, which we have bottled individually by hands. This GYOKURO is organically grown in the soil of our partnered farmer specifically cultivated for rich Umami taste with delicate sweetness and layers of distinct flavor. 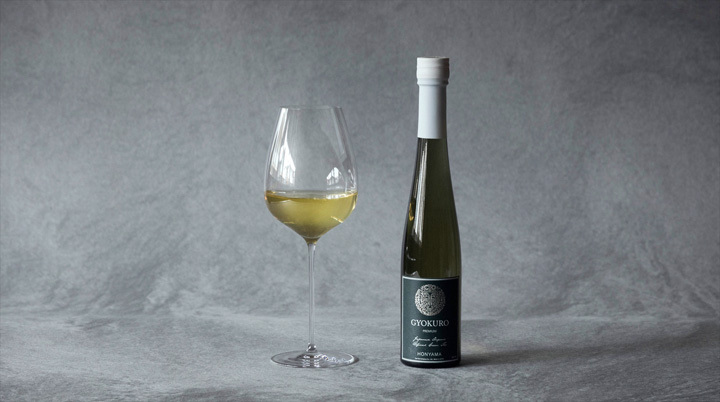 This GYOKURO enriches the flavor and Umami from the sea when drunk with any seafood. Recommended as an aperitif. A rare kind of tea, “Asanoka,” from Kagoshima prefecture has very sensitive aroma and Umami flavor.Its sweetness and refreshing taste was nourished in Kirishima. Vegetable, tofu, Sashimi (raw fish), and shellfish dishes match very well with this tea. TSUYUHIKARI－Tea master, Mr. Takuya Watanabe of “The Tea Company”, put a lot of hard work into this herbal tea. Enjoy a floral aroma and the perfect fusion of tropical fruits and herbs that leaves a sweet caramel like aftertaste. This tea goes well with appetizer, chicken, pork, and seafood dishes. Hana-houji is a roasted tea made by the masters who have inherited a traditional pan-roasting process in Gokase. Enjoy the rich aroma like flowers, spices, whisky, and its long lasting aftertaste that you have never experienced before. 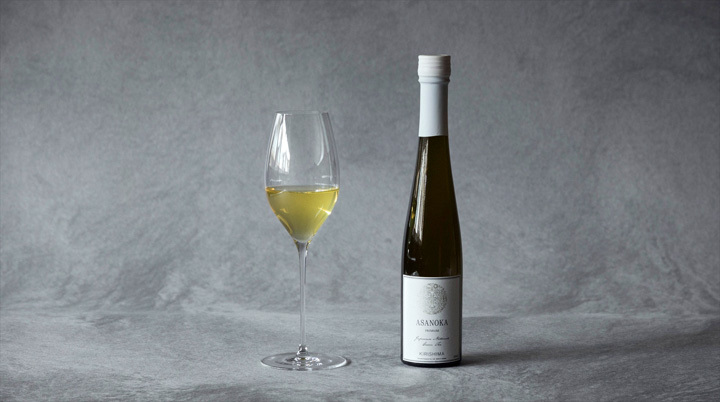 Rich and deep taste of Hana-houji goes well with appetizers, seafood, and steak. Beni-houji is a roasted tea that gives sweet aroma similar to chocolate. Once you taste it, you can enjoy the elegant harmonies like dried fruits and honey, reminding you of nectar. Beni-houji goes well with main dishes with thick sauce or even with desserts.Savor the lusciousness and its aftertaste. AWA-BANCHA For over 200 years, the Tokushima Prefecture has been in love with this traditional tea. Enjoy a fresh aroma, and unique acidic and Umami flavor that gives a clear and refreshing aftertaste. Seafood, delicacies such as caviar or with fermented food matches well with this tea.Enjoy a fresh aroma, and unique acidic and Umami flavor that gives a clear and refreshing aftertaste. 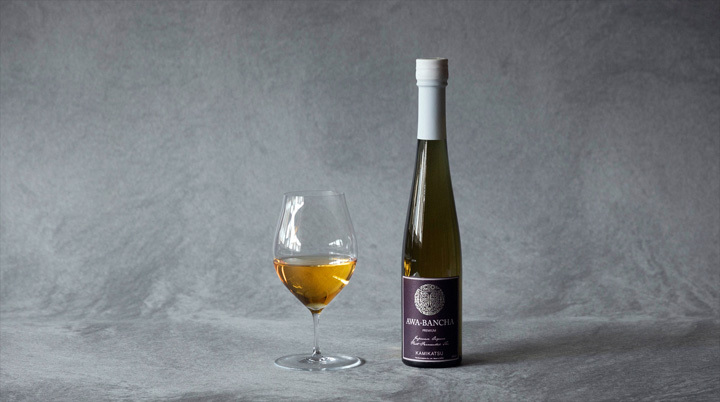 A glass of Bara-cha with a fragrance of rose can create a relaxing atmosphere. Balanced harmonies of rose and sweet roasted tea leave delicate and elegant taste. Perfect for a toast to start a party, for an aperitif, and it also goes well with dessert. 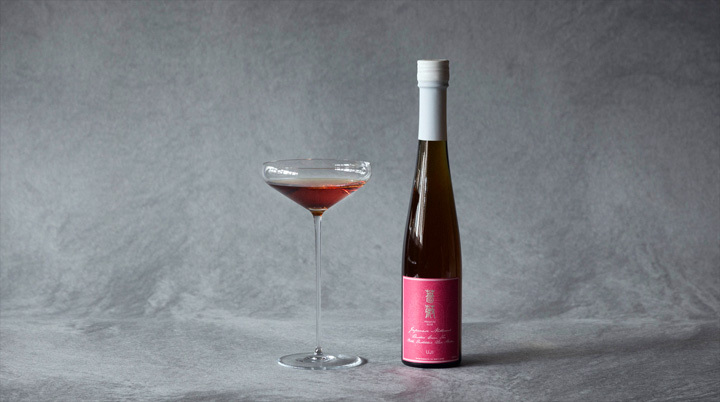 Perfect for a toast to start a party, for an aperitif, and it also goes well with dessert. 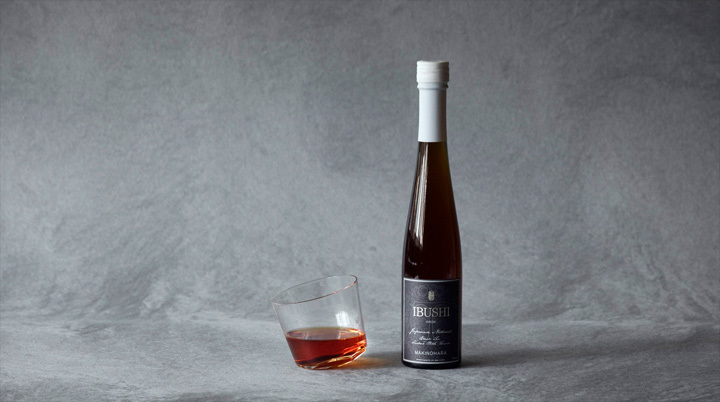 IBUSHI – Exotic, spicy, and smoky tea.This gives a distinctive aroma and flavor, just like a smooth whiskey. Perfect for evening drink and this matches the best with smoked food, spicy meat, cheese, and even with whisky.